As winter turns to spring and the construction industry ramps up, it’s a busy time of year for the industry. It’s also tradeshow season. 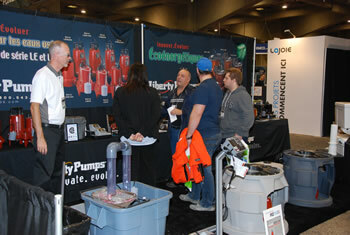 In Quebec, MCEE will return to Place Bonaventure in Montreal April 24-25. Over 400 exhibitors are expected. They will display a full range of new products including heating, refrigeration, air conditioning, plumbing, hydronic heating, tools, software, trucks and accessories, backflow, and electrical. There will be 22 free seminars over the two-day show covering topics in plumbing, hydronics, HVAC/R, electrical and lighting. All will be presented in French. Many exhibitors will enter their latest innovations in the New Product Showcase competition, which will be judged by a panel of experts.